I've barely gotten caught up on sleep (or posts...) after attending the TCM Classic Film Festival this past week, but I am already so excited to cover the Seattle International Film Festival for the fourth year. 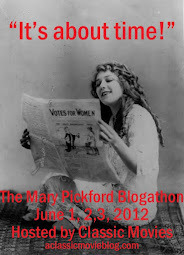 This year's event will gobble up my calendar space from May 19 to June 12. I've said it before, and I'll keep saying it: I am so proud of our diverse, adventurous and enormously popular hometown festival. I'm a big fan of silent film accompanist Donald Sosin. He impressed me with his skill and creativity accompanying Cave of the Spiderwoman (1927) at the 2015 festival and both a program of Chaplin shorts and the Chinese classic, Song of the Fisherman (1934) in 2014. This year he will perform for The Big Road (1935), another Chinese film which features several of the country's most famous film stars of the day. Though I adore Buster Keaton, I've never seen him on the big screen. What better way to remedy that than with a 4K restoration of The General (1926)? I'm also curious to hear the symphonic score which was composed by Studio Ghibli composer Joe Hisaishi. I have wanted to see Orson Welles' Chimes at Midnight (1966) for years. This Shakespearean mash-up will be presented with a newly-restored print. Though I don't often write about it here, I love a good Kung Fu flick, and Dragon Inn (1967) is one of the most influential. This 4K widescreen restoration is directed by King Hu, who helmed the entertaining and also highly influential Come Drink With Me (1966). This one gave me heart flutters: George Sanders in his sexiest role as what else? a charming cad, Carole Landis in one of her best films and director Douglas Sirk before he embraced glossy, Technicolor melodramas. 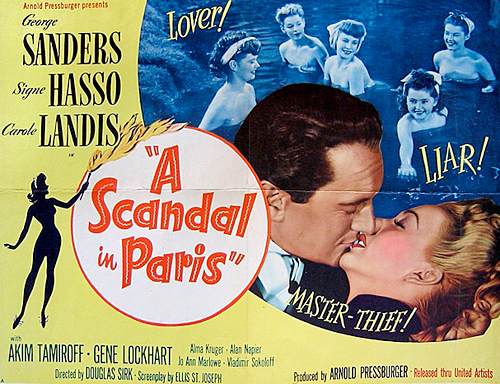 A Scandal in Paris (1946) is one of my most anticipated films of the festival. One of my greatest regrets of the TCM Classic Film Festival this year was that I was not able to get into a packed screening of the Argentinean film noir The Bitter Stems/Los Tallos Amargos (1956). I couldn't believe my luck when it popped up on the schedule. Though I hear it didn't rock anybody's world at TCMFF, it apparently offers some solid thrills and a few great twists. This 35mm restoration will be introduced by Eddie Mueller of the Film Noir Foundation. 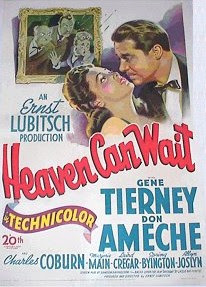 Ernst Lubitsch, Gene Tierney in luscious color, Laird Cregar as the Devil: Heaven Can Wait (1943) is going to be a great experience. Rambu: The Intruder (1986), which appears to be the Indonesian version of Rambo, looks amazing. The comedy team Wolf Choir will be there to present "a unique interactive blend of live comedy and high-stakes bingo." High-stakes bingo at a Midnight movie? Couldn't possibly be dull. Don't know if I'll write that one up here if I see it, but you'll get my review on Twitter. I'm also very excited that Mystery Science Theater 3000 mad scientists Frank Conniff and Trace Beaulieu will be live riffing on Ed Wood's Glen or Glenda (1953). This is definitely the can't miss event of the festival for me. The full SIFF film guide can be found here. Wow, that looks like a great festival!! Enjoy!! Love these picks! I saw a screening of The General earlier this year, but it definitely doesn't compare to a 4K restoration. I'll have to keep my eye on this festival for next year! I'm really pleased with the line-up this year Laura! Odestodust--Restorations are great, but I'll take Keaton any way I can get him. I hope you can check out SIFF next year. Though the classic film screenings are spread out over the whole month, there's enough of them to justify a strategically-planned long weekend!